I wanted to share these photos showing 3087 grafts via Rahal FUE. While I was in Ottawa I met this patient on the Friday morning of his scheduled procedure. 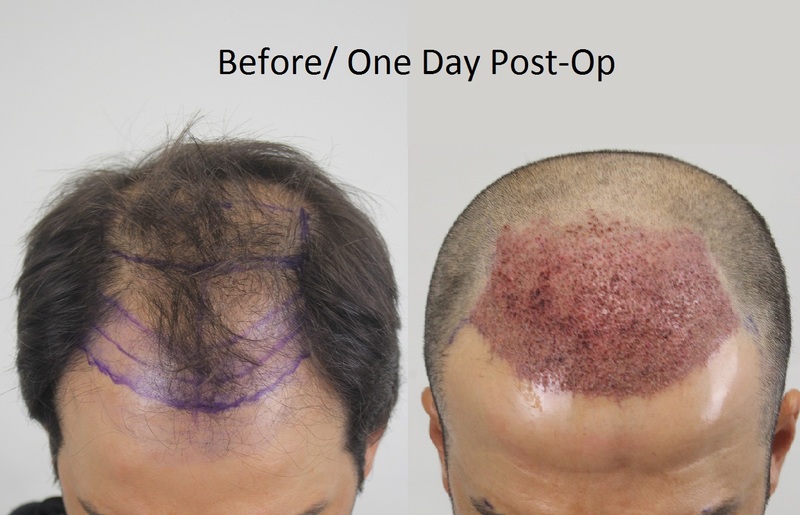 When he came in he was scheduled for 4500 grafts via FUT for his NW5 area of loss. The plan was typical for a NW5 that is at a clinic that can do true FUT megasessions which was to hit the front with higher density and dust the crown with lighter density. 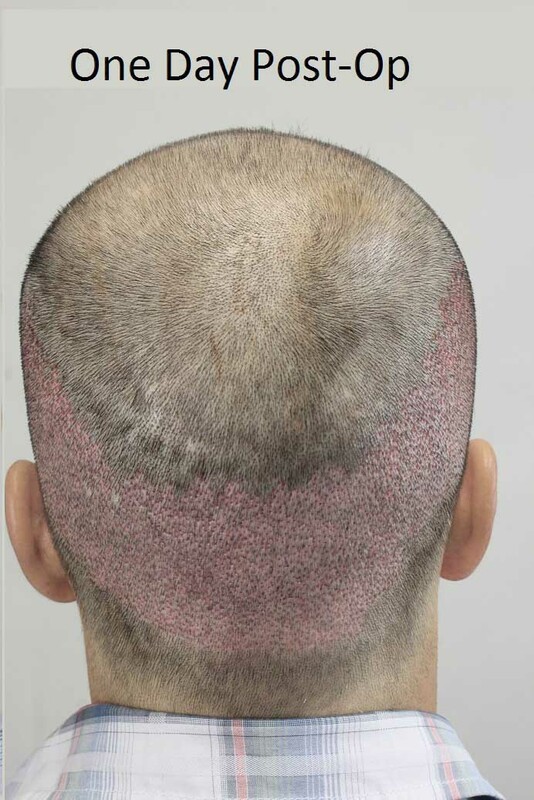 His donor hair is excellent and his density was rated as good so there should have been no problem to get the number of grafts that was estimated. Except there was one problem that made such a procedure impossible. On the morning of the procedure Dr. Rahal sat down with the patient and after examining his donor zone he determined that the donor laxity was very tight, too tight in fact, and he would be lucky if he got 2500 grafts. I examined his scalp as well and confirmed that the laxity would not allow for an FUT session of this size. This is not a common issue but I’ve seen it several times where a patient has traveled so far only to be turned away empty handed because of the one thing that is next to impossible to gauge via photos, the laxity. What to do? We discussed the option of FUE. After spending about 45 minutes with the patient he decided to take the weekend to think things over and discuss the option with his wife. He came in bright and early on Monday morning and was ready to go. The decision was to keep at the limit of 3000 grafts and concentrate on the front. This will allow for more grafts to be allocated for the crown at a later date so the result overall should be stronger. THIS is a perfect example of why I decided to work at Rahal. High quality FUE is about more than about just avoiding a linear scar. It is about having options.